Unfortunatly I hadn’t time for Krita any time recently. I had to work and do stuff for university. I will focus more on Krita in summer again.. This term i’m attending the second computer graphics course in my university. 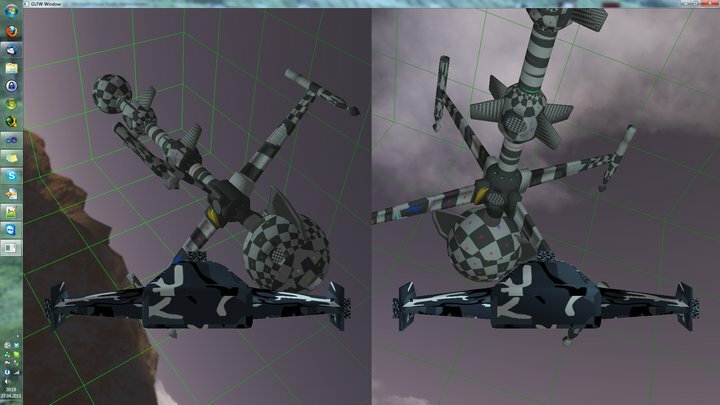 The goal is to program a 3d game in OpenGL. We (Felix and me) chose to program a split screen flight duel game, as this is a simple game concept, but it’s still very extensible graphics and game logic wise. 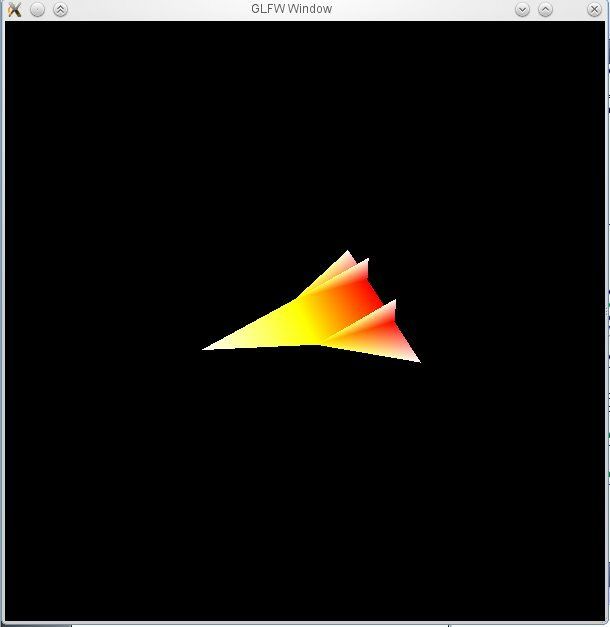 The first step was to setup OpenGL etc. (GLEW, GLFW), which produced this first screen shot in begin of April. Next steps will be to implement some more game logic, in game display of hull state, frags and menu and then physics. We will use CEGUI and Bullet for these tasks..